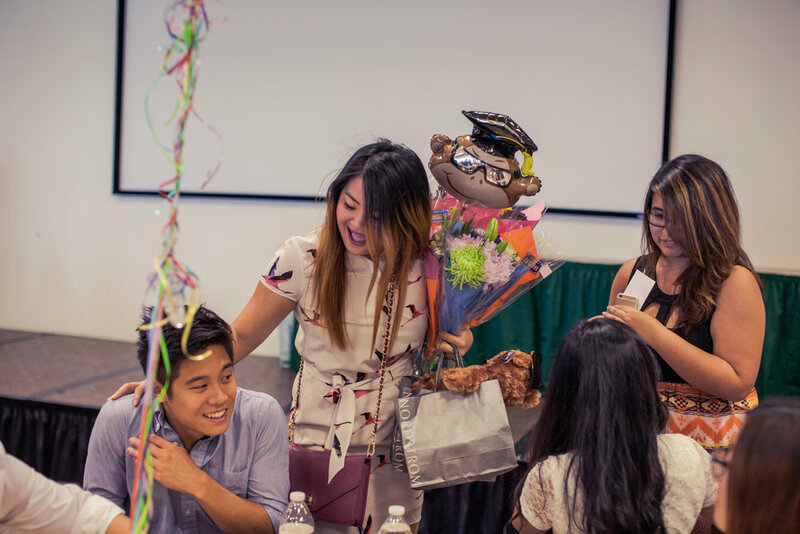 Vietnamese Graduation (or V-Grad), is VSA's special and exclusive ceremony for graduating members. Graduates, friends and family give farewell speeches and celebrate their accomplishments. Those graduates receive a sash and certificate of graduation from VSA and are recognized as being a large part of CPP VSA.